Use your My Community Credit Union MasterCard with a supported device to make purchases fast and easy. With a quick tap of your phone, you can use your MasterCard credit or debit card to pay at over one million U.S. merchant locations that accept mobile payments. You get all of the same benefits your card offers, including added protection of MasterCard Zero Liability. * When you use one of the trusted solutions below, your payment information is never shared with merchants or stored on your device. †NO PURCHASE NECESSARY. Void where prohibited. Open to US cardholders 18+ as of promotion start date. PIN and international transactions ineligible. Click here for Official Rules. 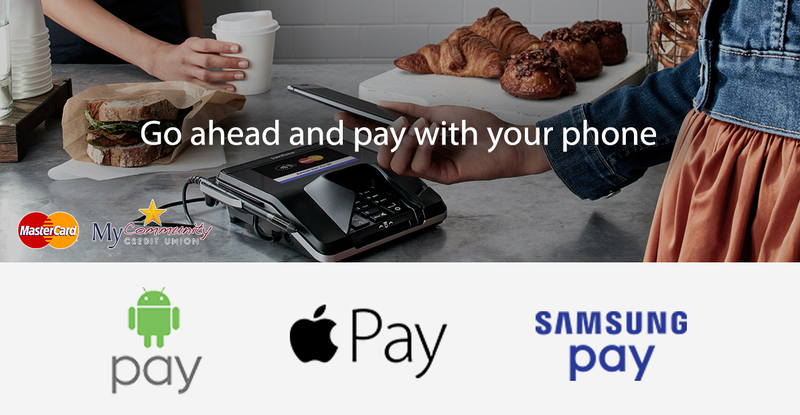 Apple Pay works with iPhone 6S and Apple Watch™. 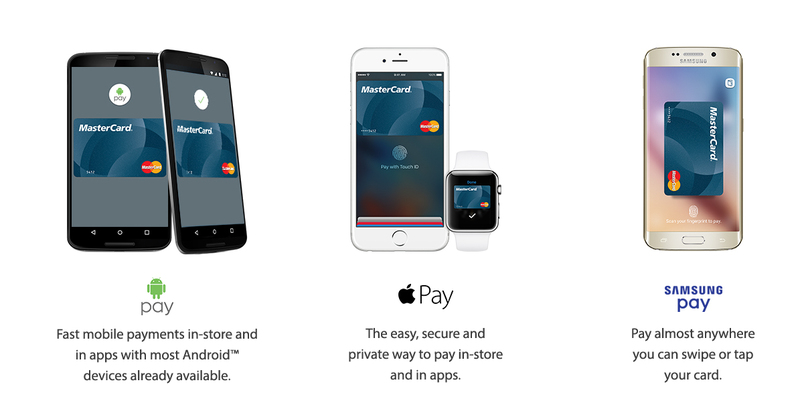 Android Pay is compatible with NFC and HCE-enabled devices running KitKat 4.4 and above. Learn more at android.com/pay.